This is part two in a series on Seattle Sockeye’s defense from the 2018 club season. 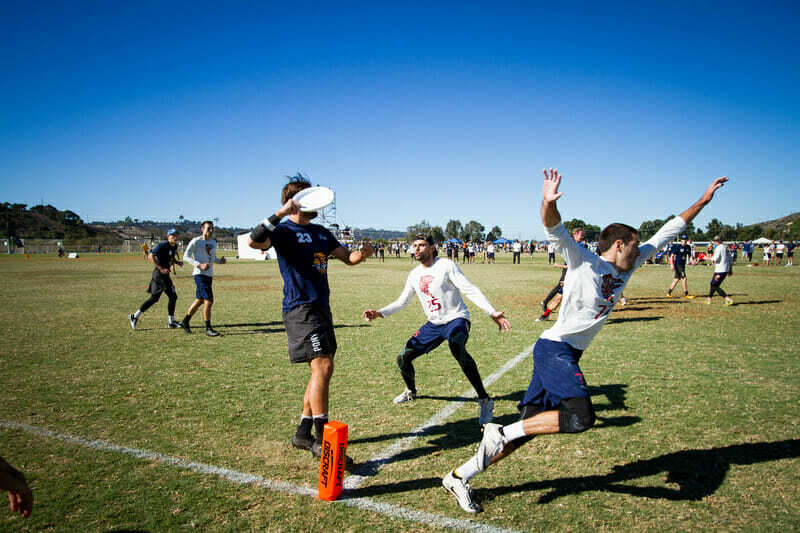 As ultimate strategy has continued to mature, top teams are beginning to borrow concepts from other sports. First there was just matchup coverage, mano a mano. Then came zones. After the development of looser junk defenses, more teams started running transitions from one type to another during a point. In recent years, there has been an explosion in switching defensive schemes, following the lead of the National Basketball Association, where switching inside of one-on-one defenses has become the norm. Today’s article will take a look at the poaching techniques and some of the basic switching utilized by Sockeye, and next week we will dive deeper into their more complex switching and rotations. Comments on "Studying Sockeye’s Defense: Poaching & Switching"